In this heartening celebration of shyness, shy men and women discover how to tap into their hidden strengths and find lasting love. 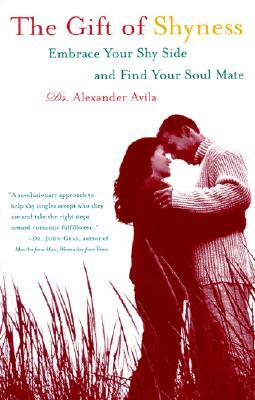 Shattering the myth that shyness is a social liability, award-winning relationship expert Dr. Alexander Avila identifies the seven gifts that shy people naturally possess -- sensitivity, faithfulness, listening ability, reflection, modesty, mystery, and gentleness -- and shows readers how to use their innate talents to achieve social and romantic success. Innovative, comprehensive, and easy to use, "The Gift of Shyness" is the definitive shy person's guide to social and romantic fulfillment. Description: Paperback in very good condition. light edge and surface wear. Pages lightly tanned. Pages clean and binding tight.